There is a lot to like on here. 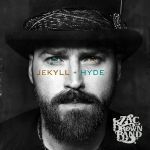 Zac Brown has a great voice and it is put to good use mostly here and I really like the slower ones (Dress Blues and Bittersweet are particular standouts). The main gripe I have, and that affects me more than it really should, is the layout of this album. It seems like a random hodgepodge of ideas and styles that, in most cases, work individually, but fail to mesh together as an entire piece of work. You have some Avicii style influences, in amongst the old sounding country, and then a random Broadway tune stuck in the middle, and then a random heavy rock song, and it just seems so all over the place. It's a good album, but would have been better if it stuck to one or two styles I think. When you have just gotten emotional over one song and then are hit in the face with a chirpy BBQ country song, hmm, it's just not as effective as the album as a whole should do. Saying that, still a decent 4.2/6.